The Enneagram and Lord of the Rings, Part III: Types 6 and 2. By guest blogger, Kelly Gomez. 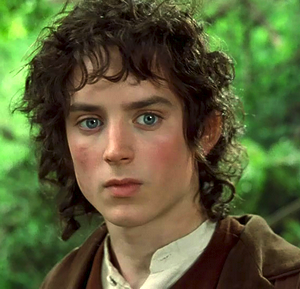 You may recall the Frodo has characteristics of the type 6 Enneagram personality, the Questioner. Frodo makes his way to Mordor, where he can destroy the One Ring, which Sauron would like to reclaim. His friend, Sam, travels with him and is a type 2. They make a great team and Sam supports Frodo through his encouraging words. Sometimes a type 6 can also be pessimistic, but also concerned about the safety of others. The discussion that Frodo has with his friend, Sam, a 2-Helper, demonstrates a type 6’s need for security and support. “Frodo: Mordor… I hope the others find a safer road. Sam: Strider’ll look after them. Frodo: I don’t suppose we’ll ever see them again. Sam: We may yet, Mr. Frodo. We may. I couldn’t help thinking about how happy Frodo must feel to have his friend Sam to be there when he enters the gates of Mordor. Mordor is the place Frodo needs to go before he reaches the top of Mount Doom (in order to have the ring destroyed in fiery lava). 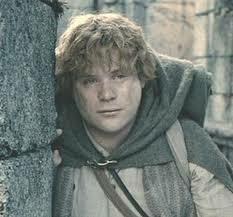 Sam is the perfect person to accompany Frodo on his journey because he is on his side every step of the way. Sam: It’s like in the great stories Mr. Frodo, the ones that really mattered. Full of darkness and danger they were, and sometimes you didn’t want to know the end because how could the end be happy? How could the world go back to the way it was when so much bad had happened? But in the end it’s only a passing thing this shadow, even darkness must pass. A new day will come, and when the sun shines it’ll shine out the clearer. Those were the stories that stayed with you, that meant something even if you were too small to understand why. But I think Mr. Frodo, I do understand, I know now folk in those stories had lots of chances of turning back, only they didn’t. They kept going because they were holding on to something. Sam: That there’s some good in the world, Mr. Frodo, and it’s worth fighting for. Ultimately, 6’s doubt or question their decisions so they need encouragement and reminders of why what they are doing is important. The lyrics, “May it be your journey on, to light a new day” bring life to the character Sam as a type 2. Type 2’s bring light to every new day with their warm personality and eagerness to make things seem brighter. Sam’s purpose on this journey with Frodo is to bring light to every darkness they encounter. The soothing sound of the strings begin to quiet themselves at 2:26 and gradually rise in intensity until 2:36. Beginning slowly and cautiously, as a type 6 is concerned for safety, they gain courage as the intensity builds and become daring like a counter-phobic 6. The music rises and falls from there, like the similar anxiety a 6 may have with making up his mind. However the lyrics repeat again, “a promise lives within you now” and the music calms again, as if Frodo’s personal journey now has a purpose and direction. Kelly Gomez is a student at the University of California, Berkeley, majoring in English. She was an extern for Elizabeth for two weeks during winter break, 2014. The Enneagram of Parenting on Amazon.co. Visit http://wagele.com to check out Elizabeth’s books, CD, cartoons, essays, music, and Famous Enneagram Types. The Enneagram and “Lord of the Rings,” Part II: Types 6, 5, and 8. By guest blogger, Kelly Gomez. If Frodo’s personality type in Lord of the Rings (Enneagram 6, the Questioner) interests you, you might also be interested in checking out these quotes from the book series. Often dialogue helps us to understand a character’s motives, as they express their opinion to another character. In the following passage, Frodo is speaking with Galadriel, the Elven co-ruler of Lothlorien. Originally rings were made and given to the Elves. 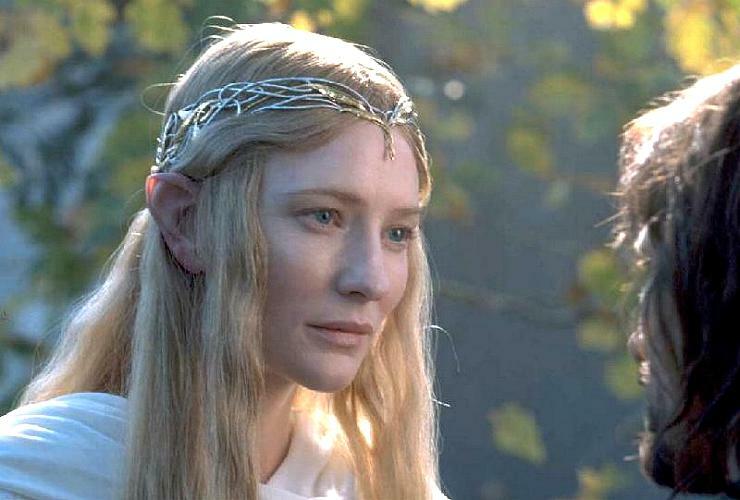 Galadriel was the keeper of a ring called Nenya, and she used it to keep her kingdom safe. Sauron is the keeper of a ring, too, but he uses it for very evil purposes. The ring Sauron wears ends up getting lost in a battle and comes into the hands of Frodo. Galadriel tells Frodo to look into a magic mirror, where he can see glimpses of the future. Galadriel is aware of what might happen if she uses Frodo’s ring. She believes the ring might corrupt her, as it will corrupt anyone else who wears it. The ring is a source of great power, which is why Sauron wants it so badly. Frodo: If you ask it of me, I will give you the One Ring. Galadriel: You offer it to me freely? I do not deny that my heart has greatly desired this. Galadriel: In the place of a Dark Lord you would have a Queen! Not dark but beautiful and terrible as the Morn! Treacherous as the Seas! Stronger than the foundations of the Earth! All shall love me and despair! Galadriel: I have passed the test. I will diminish, and go into the West, and remain Galadriel. Frodo: I cannot do this alone. Galadriel: You are a Ring-bearer, Frodo. To bear a Ring of Power is to be alone. Galadriel: This is Nenya, the Ring of Adament. And I am its keeper. This task was appointed to you, and if you do not find a way, no one will. Frodo: I know what I must do, it’s just that… I’m afraid to do it. Galadriel: Even the smallest person can change the course of the future. The power of the ring is so great that it has become the object of Frodo’s obsession. He would like nothing more to give the ring up for good, where he would not have to fight against the evil temptations it puts on him. 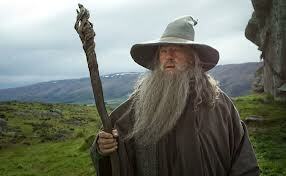 Knowing that Galadriel would readily take the ring eases his burden, however, and he offers it up. But Galadriel decides not to take the ring, reminding Frodo that he alone must carry it. Galadriel’s response is typical of a type 5, the Observer, to suggest that a burden must be carried alone. When type 6’s are afraid, they may either respond recklessly or look to those who might be able to eliminate their anxieties for them. Remember, they are team players? Even though 6’s are dutiful with their responsibilities, they often rely on their team to help them out when they feel anxious. Frodo believes if he gives the ring to someone else, he will have escaped the anxiety caused by his responsibility, which is to destroy it in the fires of Mount Doom. It is perfectly normal for anybody to be afraid of the ring’s power at this point. However, different personality types react differently when they are afraid. A Type 8 person would be more likely to charge ahead because to be afraid shows weakness. Being afraid is something a type 8 must conquer, because fear is manipulative, and manipulation is something 8’s despise. Sauron is an example of a type 8 at its worst. When Galadriel first knew Sauron, his name was Annatar. She knew him well, and mistrusted his thoughts and motives, yet never took action against him. Later his name was changed to Sauron, when he became evil with the forces of the One Ring and his personality changed to combative, possessive, and arrogant. Galadriel is similar to a type 5 because she takes precautionary measures to secure her kingdom in a non-confronting manner. She does not make accusations against Sauron until he uses his ring to control the nations and keepers of their rings. Galadriel simply waits until he loses the one ring (now in Frodo’s possession) and does what she can to keep herself safe. She believes that whatever battle over the one ring is to take place will be between Sauron and Frodo. While listening, notice the pattern in the background music that was created to represent Sauron’s character. Its intensity closely resembles type 8, the Asserter, in the Enneagram. Join the FaceBook page The Enneagram in the Movies.